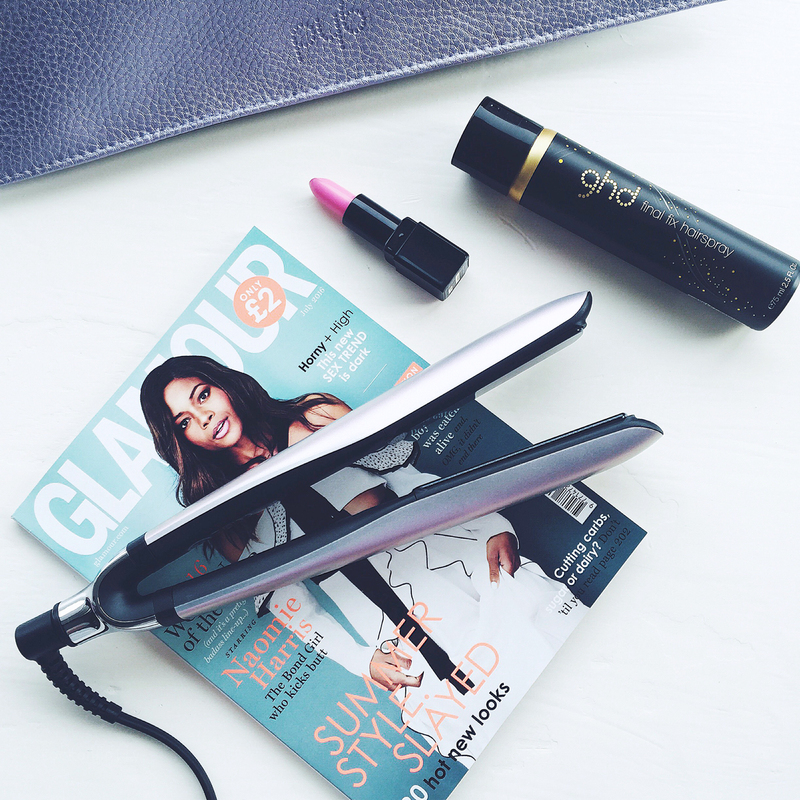 So I was majorly excited when I got an invite to Selfridges Trafford to try out the new GHD Azores... These beauties are DIVINE. Just look at them! Inspired by the Azores islands in Portugal, there are three different shimmering shades to choose from; these are the Serene Pearl Platinum Stylers. 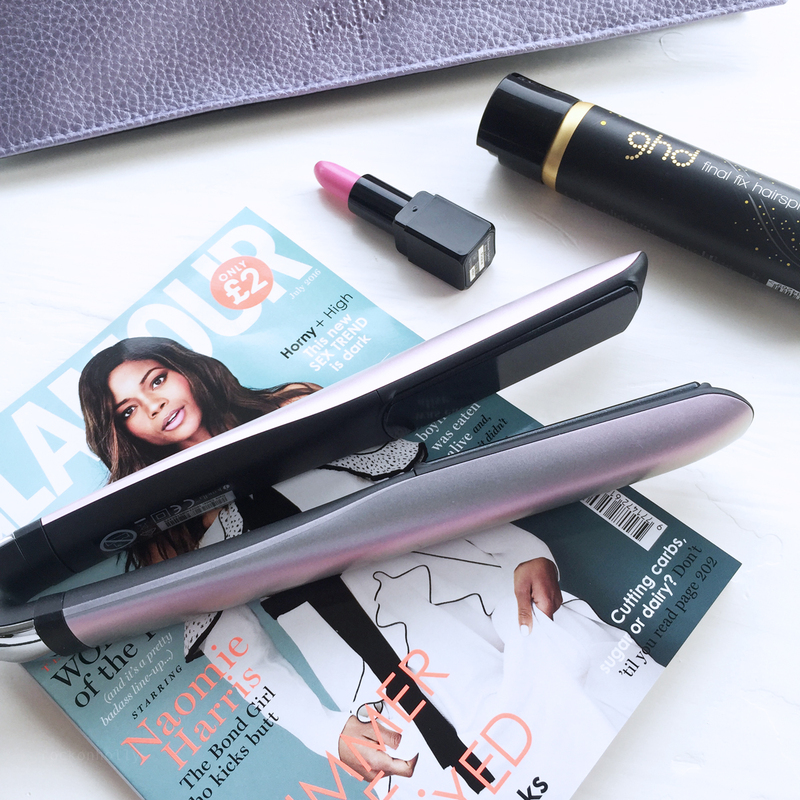 Featuring the same innovative technology that carries through across the GHD range, the latest product offering hasn't just had a mermazing facelift... The Azores also have new Tri-zone technology that ensures your hair remains at a constant temperature for styling. 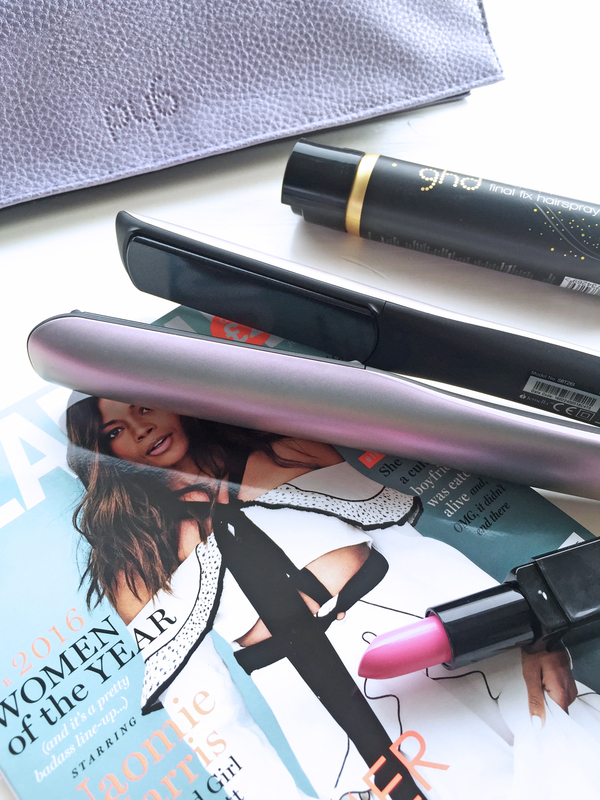 Note that these pretty things are called Stylers and not Straightners? 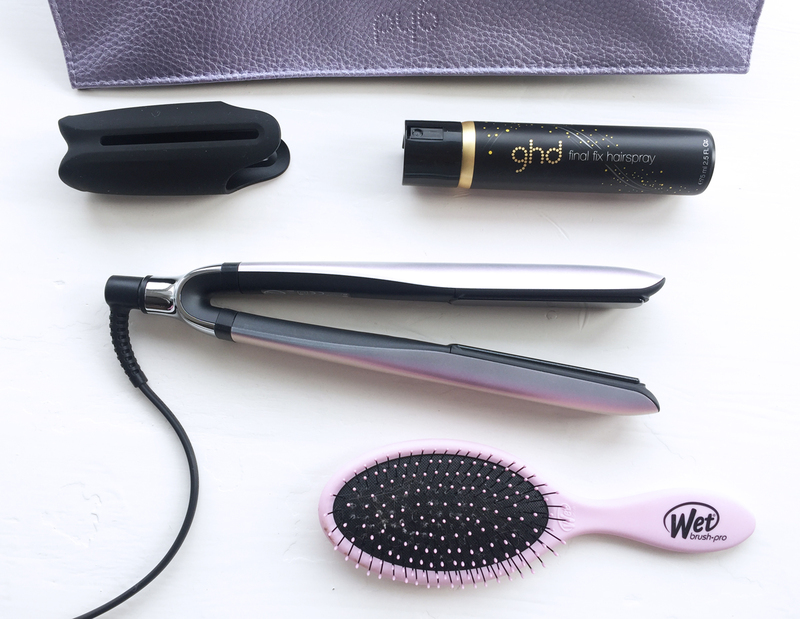 The contoured edges of the plates allow you to curl, wave and texturise your hair whilst still leaving it in good condition. And for those "Did I turn off my straighteners off?" moments, the Azores have a built in automatic off-switch that triggers after 30 minutes of non-use. 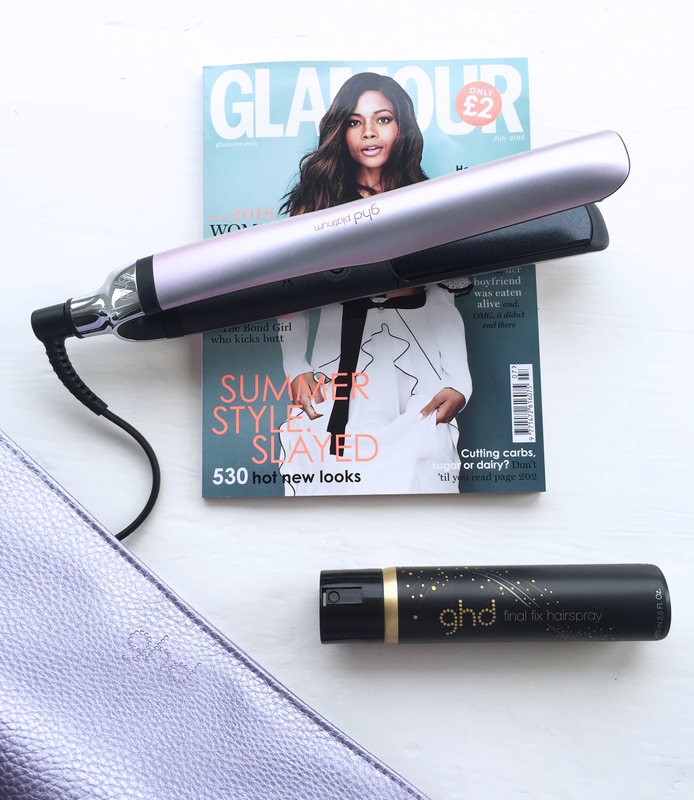 Travel Tip: If you're heading abroad, these bad boys have a universal voltage to allow you to style anywhere in the world! This is so useful!! Whilst on my recent trip to Canada, I discovered that my hairdryer didn't work as well with the North American plug sockets. Cue flat hair for 3 weeks... not cool. 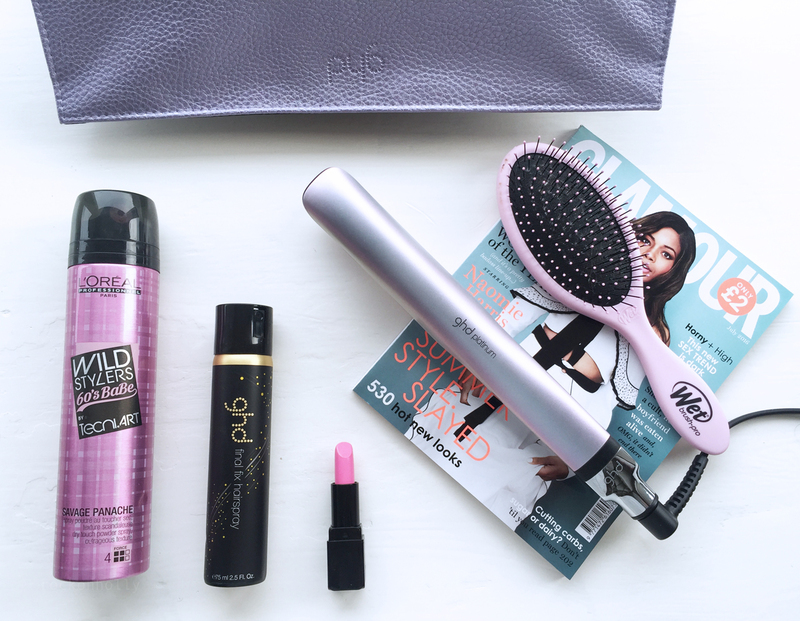 Are you due a Hair styler update!? 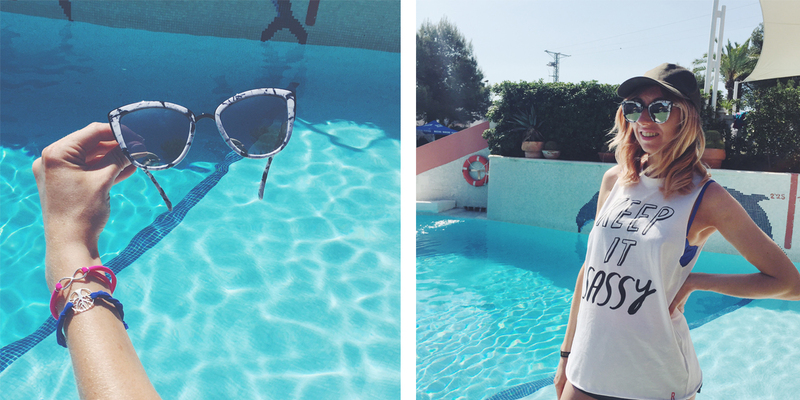 FYI, these beauts are limited edition so get them whilst you can! So. What the hell was I going to pack to take with me?? No joke, I literally googled "what to wear in Ibiza". Ok, this is kind of a given. But my Quay Australia shades were an impulse buy just before I headed away and they were ideal. The mirrored lenses hide all the hangover sins on the morning-after-the-night-before and they're just really cool. End of. 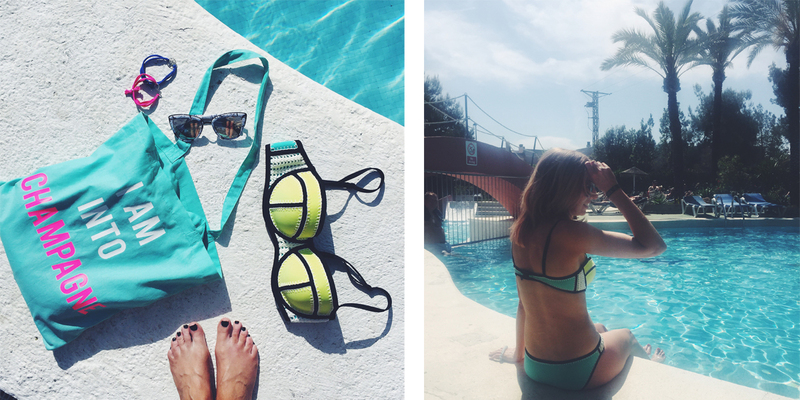 Triangl have been copied by high street stores all over the UK, but they are still the original and best. Their scuba material is super comfy and form fitting. Plus they have a range of styles and sizes to suit all shapes and sizes. I love the zingy colour on the Brigitte bikini and the crochet detailing is very "Ibiza". Tote Bag from our new Rock On Ruby Summer Collection and Bracelets from Helix and Felix. Yup, forget the straw trilbys and cowboy hats, the Cap is where it's at. Just ask Kylie Jenner. This simple khaki cap is from Asos and was great for throwing on during the day or hiding bad beach hair at the airport! Dress up from day to night for casual Summer vibes. These slouchy vests from Rock On Ruby are the perfect top to keep you looking cool on a hot Summer day. The drop armholes allow you to show off your bikini top underneath. For night time, I styled mine with what I like to call "the sequin shorts of dreams" from Topshop. Yes, I said flats. I packed one pair of heels for our Ibiza trip and I wore them out one night as we went down the infamous Sant Antonio strip. To my credit, I did survive in them until about 4 in the morning, however I did end up stumbling down the cobbled street at the end of the night. As I passed one of the bars, a club promoter did her best to lure us in but I just waved my heels at her and wailed "Nooo, my feet!!" 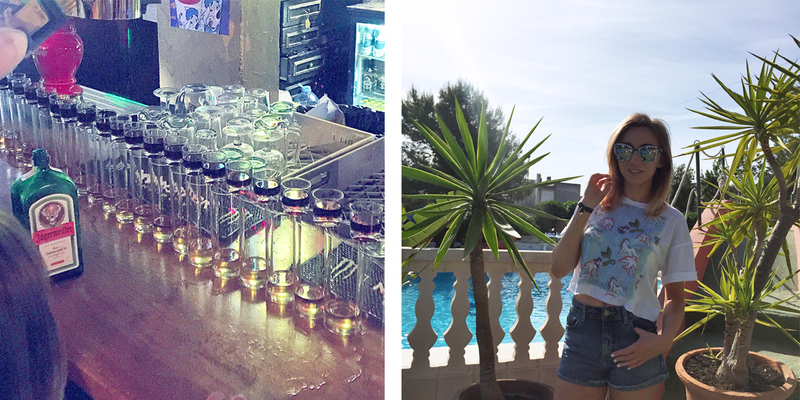 She gave me the biggest look of pity and just said, "Yeah, NOBODY wears heels in Ibiza"
And that was me told. I didn't wear them again! Yes, I was as shocked about this one as you might be! But Ibiza was full of Hens, Stags and big groups of girls, guys and gays, all dressed up in the most hilarious outfits! We dressed in Hawaiian gear one night and it was brill! I was really surprised that in a place with a reputation for being as "cool" as Ibiza, that fancy dress was so popular. But it totally was! So, if you want to add a little fun to your holiday, don't be afraid to raid your dressing up box, or at least have some fun with glittery face paints, hair sprays and accessories! I hope this helps - if you have any questions, do comment below!